Another year has come and gone and so we turn our attention to the flurry of rumors, upcoming products and hearsay surrounding 2012’s big releases. If you’re excited by the thought of new gaming devices, smartphones, cameras and other assorted gadgets then 2012 is set to be an expensive year. Today we’ll be taking a look at some of the 2012 rumored releases. If you’ve got any of your own predictions to make, then don’t forget to share them in the comments section at the foot of the article. Whilst the iPhone has broken its traditional release cycle for the first time, rumors about an updated iPad coming sometime in spring 2011 are rife amongst speculators. Unlike the last refresh that saw mostly under-the-bonnet changes in the form of the A5 chip, the iPad 3 is rumored to be one Apple’s most exciting updates, with differences you can see. According to the rumor mill, Apple is reportedly equipping the iPad 3 with a Retina display which will provide a similar quality viewing experience as seen on the iPhone 4 and 4S. The new display would apparently see the resolution jump to 2048×1536 from the current 1024×768. There is also speculation surrounding a new A6 chip to power the new tablet, which would make sense based on the last update. It is also possible that a near-field communications (NFC) chip finds its way into the new model, though Apple has avoided the technology thus far. Photography revolution or software gimmick? At least, that’s what I thought when I saw Lytro’s website which claims that a new way of taking pictures will arrive in 2012. Instead of a regular camera sensor (which records all light rays but apparently “none of the subtleties”), Lytro cameras use a light-field sensor to capture the colour, intensity and vector direction of rays of light. By replacing standard camera components with software and a revolutionary new kind of sensor, Lytro cameras provide some incredible advancements. What about focusing a picture once you’ve already taken it? Switching between 2D and 3D versions of an image? All possible, according to Lytro. And what’s more you can try out the technology right now, on their website. They sound amazing, look like fun and for $399 for a base model won’t exactly break the bank. How Lytro camera’s stack up in the real world will remain to be seen, however! My, aren’t Apple supposed to be busy this year? As well as a new iPad, both the iPhone and MacBook Pro are apparently due for an update. Laptop buyers who find themselves disappointed with sub-par screen resolutions will hopefully jump for joy at the thought of a Retina display Macbook Pro (though I’m sure the price will make that eye-candy a little harder to swallow). Another feisty rumor doing the rounds is talk of an ultra-thin Macbook Pro, much like Apple’s current MacBook Air models which are growing in popularity. Apple did tweak the MacBook Pro specs this year, so a form-factor and display refresh isn’t out of the question. Both Apple and Sony are doing enough to prop this one up, but it was Steve Jobs’ autobiographer that really fed the rumor mill. Before his untimely death, Steve was obsessed with the notion of a smart TV that was incredibly simple to use. We’ve all heard of Apple TV, but the idea of a self-contained TV unit with integrated Apple TV is a new one. Add Siri to the mix, the ability to control the unit using an iDevice and AirPlay Stream Video & Pictures From Your iOS Device To Your Windows PC With Air Stream Media Player Stream Video & Pictures From Your iOS Device To Your Windows PC With Air Stream Media Player Ever since iOS 4.2 came around, iOS device users have had the option to use AirPlay to stream media from their device to other machines over shared wi-fi. There are several AirPlay clients around for... Read More and you’ve got an exciting product that’s bound to break the bank. Sony have also started developing next-gen TV concepts which appear to mirror Apple’s current model of easily shareable media between various devices (that’s your PS3, Sony Ericsson smartphone and so on). Nokia, who are previously responsible for Symbian, will this year take to the market and attempt to shift their new range of Windows Phone 7-powered business phones. In case you’ve forgotten, Nokia used to be the final word in smartphones and for a lot of people, mobile phones in general – remember the 3210? The company had a good thing, but unfortunately the market slipped through their fingers due to software stagnation and newer, more exciting products from rival companies. Now they’re back, and it’s time to see what they’ve got. Windows Phone 7 isn’t a bad platform, but it does need work. If Nokia can get the hardware right whilst Microsoft continue to improve the software then we could see a new era of powerful smartphones and a real alternative to iOS and Android. It’s already out in Japan, and come February Sony’s new handheld console is expected to be released in Europe and North America. Featuring a design similar to the original PSP, dual analog sticks, a 5-inch OLED touchscreen and backwards compatability with it’s younger brother, the Vita is a portable force to be reckoned with. Main rivals include just about every iOS device (iPod Touch, iPhone and so on) and other powerful smartphones, which have already found their ways into our pockets. It remains to be seen whether consumers will be prepared to purchase a whole new system or are content with scaled-down smartphone titles. Surely we’ll have an answer later this year. Well it’s about time! Long after the Kinect was originally “hacked” 5 Microsoft Xbox Kinect Hacks That'll Blow Your Mind 5 Microsoft Xbox Kinect Hacks That'll Blow Your Mind Read More to allow third-party compatibility, Microsoft announced that Kinect for Windows was indeed on the way. This means we’ll see officially licensed games taking advantage of Kinect, potentially providing new ways of interacting with games that won’t be seen on the Xbox 360. This also means Microsoft will probably write Kinect control functionality into Windows 8 (and lets face it, Metro is perfect for this), though this has already been successfully tackled by the community How To Control Your Windows PC With Kinect How To Control Your Windows PC With Kinect Last time, I introduced you to Kinect hacking on the PC and the drivers involved, as well as a basic zombie survival game demo. While killing zombies is awesome, it's time we moved onto doing... Read More . There will of course be plenty more exciting developments in 2012, especially once notoriously secretive companies like Apple lay down the hard facts. Windows 8 will be another big arrival that is currently seeing mixed responses, with some loving Metro and others complaining that Windows 8 isn’t the leap they were expecting. 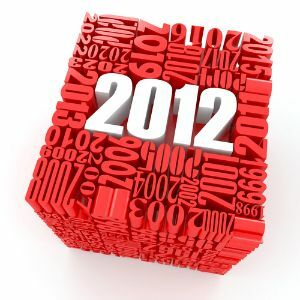 Share your predictions, anticipations and other 2012 rumors in the comments. Hi, i believe that i noticed you visited my weblog so i got here to return the want?.I'm attempting to to find issues to improve my site!I suppose its adequate to make use of some of your concepts!! anticipation for the upcoming gadgets is some how well known to the gadget freak . thanks anyway , for sharing this . It would be interesting to see how Nokia and Microsoft work it out in the mobile space. It's interesting because these two companies were/are dominant players of their respective domains... However, they have been outdone by the proliferation of other companies who are constantly innovating, and over-delivering. bro you just left the most anticipated gadgets the iPhone 5 and the iPod touch 5 that is rumored to be released this YEAR !!!! Yeah, definitely. I didn't want this to be too Apple-centric though, and seeing as we've just had the 4S (and it needs some time to shine, because it's great) I thought I'd downplay it a bit and focus on a few other exciting things.